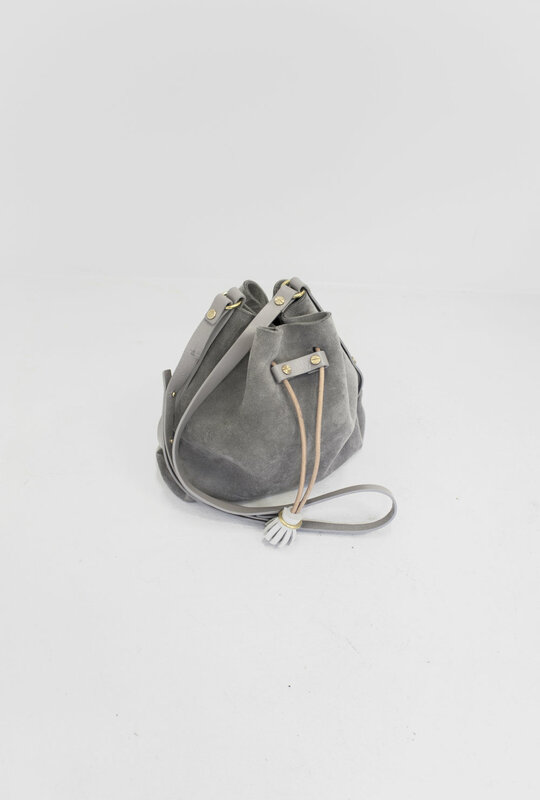 Our soft suede buckets are back in three new colours! And we are doing a pre-order event for this batch of cuties. When you order before the 22nd of June, we will get your initials embossed in gold foil on our blush luggage tag along with a matching suede ori-bunny keyring to accompany your bag. The orders will be ready to dispatch on the 30th of June. We used a double-faced New Zealand deer suede for these softies so they are extra lush to touch. The straps are in the durable veg-tan, colour matched tonally to the deer suede. All complete with leather cord, cinch and tassel. See the making at our Auckland assembly shop below! Inside the box, outside the box.